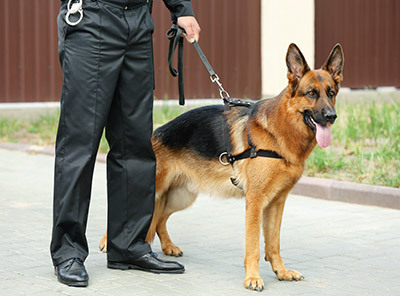 A divided Minnesota Supreme Court today overturned a Court of Appeals ruling that using a drug-sniffing dog outside a person’s apartment without a warrant is a violation of Fourth Amendment rights. It was an apparent 3-to-2 vote. Last September, the appeals court overturned the firearms and drug convictions of suspected drug dealer Cortney John Edstrom, saying if a court ruled a drug sniffing dog outside an apartment isn’t an invasion of privacy, the Fourth Amendment would be of little use to apartment dwellers. Today, Minnesota’s highest court said it’s not. The police were working on a tip that Edstrom was dealing meth in his Brooklyn Park apartment in 2015. Without a warrant, they brought in a dog that alerted them to the presence of drugs in the apartment. Then they got a warrant for a search, in which drugs and a weapon were found. While a person’s home can be considered constitutionally protected, the Supreme Court said today, an apartment hallway is not, even if the dog had to sniff at the seam of Edstrom’s door to smell the drugs. Writing for the majority, Chief Justice Lorie Gildea said the essential question of the expectation of privacy in the hallway is whether the device police used — in this case: a dog — is “’capable of detecting lawful activity’” as well as illegal activity,” Gildea said in citing a U.S. Supreme Court decision.